There was drama and anxiety at Kiamuiru village in Nyeri county when a burial was postponed after the body of the deceased went missing from the mortuary. The family of David Bori arrived at Tumutumu Mortuary to collect his body only to find the deceased missing and instead was given the corpse of David Baraza, a male aged between 58 to 60 years. 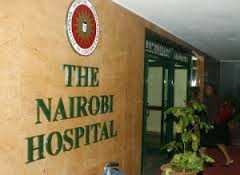 Jackson Nderitu Warui brother of the late said that his brother was admitted at a Nairobi Hospital for one day where he succumbed to death following a battle with diabetes and kidney failure. After realising the body was missing, the family contacted Nairobi Hospital where they were informed of another body at Kibwezi in Makueni county which was bearing almost the same name and requested that the body to be brought to Nairobi Hospital where it was removed as they took the body from Tumutumu Mortuary to Nairobi. However, back home at Kiamuiru village, the mourners and other family members were shocked after receiving the news since everything was ready for the burial ceremony. The sister of the deceased Lucy Nyaruai said that a day after the death of her brother, she was with her husband when they confirmed the body and requested for a transfer to Tumutumu Hospital Mortuary where she claimed that the body might have been exchanged when it was on transit to Nyeri since it was in a body bag. She said the family was satisfied that the body was safe as it was on a private wing so they did not go to confirm a day earlier before the burial. At the same time, Lucy called for Nairobi Hospital to pay for the cost of transportation of the body since she maintained that the hospital had incurred the cost of the other body from Kibwezi to Nairobi Hospital. A committee member Joseph Nderitu said it was a slight mistake though the family could have gone earlier to confirm the identity of the body. Mourners waited with anxiety till afternoon.